Our lives are so busy that when a symptom arises, our initial response is to utilize the quickest and easiest remedy: drugs. While I agree that there is a place and time for drugs and surgery in some people’s circumstances, this belief has eroded the question ‘WHY?’—‘WHY am I getting these headaches? WHY is my infant unable to stop crying? WHY does my child constantly have a cold and ear infection? 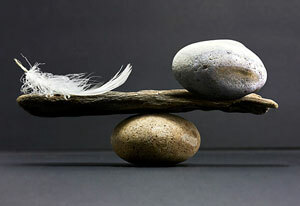 When the question of ‘WHY’ arises it must be addressed by looking into how aligned or how out of balance is your body? While this is a short list, it gives an indication of things to note when going through your day. If you or your child note any of the above, it may be a sign of a system that has become out of balance. As a chiropractor my job is to analyze the system that coordinates every function of the body. By aligning a system that has become out-of-balance and restoring proper function, the body is better able to deal with day to day stressors and respond in a proper manner. It’s when a system is out of balance that problems can begin. If you or someone you know may have a system that has become out of balance, get them checked by a chiropractor and give the body a chance by aligning the body.